Following the resurgence of violence in some parts of Kogi State prior to the forthcoming general election, the Nigeria Security and Civil Defence Corp has deployed over 2,500 Officers to flash points in Kogi East, Central and Western Senatorial Districts of the State. 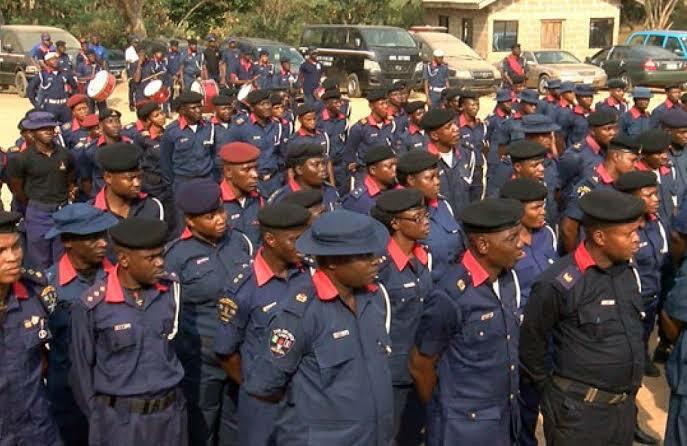 The Kogi State Commandant of NSCDC, Commandant Philips Ayodele disclosed this in Lokoja during a sensitization programme on intelligent gathering for officers under his command ahead of the forthcoming general elections. Our Kogi State Correspondent reports that Commandant Ayodele, while reaffirming the mandate of the Corp to protect critical infrastructures in the country, said the command has identified the grey areas and measures have already been put in place to ensure citizens exercise their franchise without intimidation or fears. He said the sensitization programme will help his officers know their rights, collaborate with People and know how to address issues concerning election. "We have been arranging series of lectures in the build up to this election. Violence during election is insignificant. We are aware that some desperate politicians will be recruiting thugs to cause mayhem on election day. This won't be allowed to happen. We have also taken note of the destruction of some party billboard by unknown individuals across the three senatorial district. The Command has placed its officers in strategic areas as any one caught will face the full wrath of the law. Our citizens has the right to choose their leaders who will represent the country interest. NSCDC Kogi State command is synergizing with other Sister Security agencies to see that the menace of violence during the forthcoming polls is nipped in the bud. We can't do it alone. We need information and the cooperation of the general public to achieve a violence free election. Our officers has been warned to be professional in the discharge of their duties. This is part of the reason we have decided to organize this lecture by intimating them on their respective roles on election day and their duties to protect voters who are out to exercise their civic right" he said. He however lauded Governor Yahaya Bello for his "unbiased nature and support towards the success of security agencies in Kogi State". The commandant urged political players to play by the rules of the game as any one found wanting will face the full weight of the law no matter how connected or influential the person might be in the society. Earlier, the head of Intelligence and Investigation, NSCDC, Kogi State Command, Mrs. Mariam Oiza Adeiza said the essence of the lecture is to prepare and refine officers of the command on the challenges that might occur during the election. She reiterates the preparedness of NSCDC towards achieving a violence, free and credible election in Kogi State.